The foldable phone Huawei has been hyping up for the past few months may be closer to production than everyone previously thought. Huawei has reportedly showcased the foldable phone — which will also be 5G compatible — to telecom operators in South Korea and is “more complete than expected.” This comes two weeks after Samsung showcased a prototype foldable phone that was camouflaged to mask its design. According to a report by South Korea’s ET News, the Huawei foldable phone will adopt the dual display design like the Samsung model, but with bigger panels on both sides. Inside will be an 8-inch screen that can be folded to make way for the 5-inch display on the outside. It is likely that the handset will run Android software like other Huawei phones, especially given Android’s support for multiple active apps at the same time. The reason Huawei headed to South Korea with its foldable phone is simple: it is one of the only two markets to roll out 5G networks in the first half of 2019. The other is the US, where the company may find it difficult to get too many takers due to the privacy concerns that were raised last year. European nations, China, and Japan would get 5G networks in the second half of 2020, while the Indian consumer will have to wait as long as 2022 for the next-gen internet connectivity. 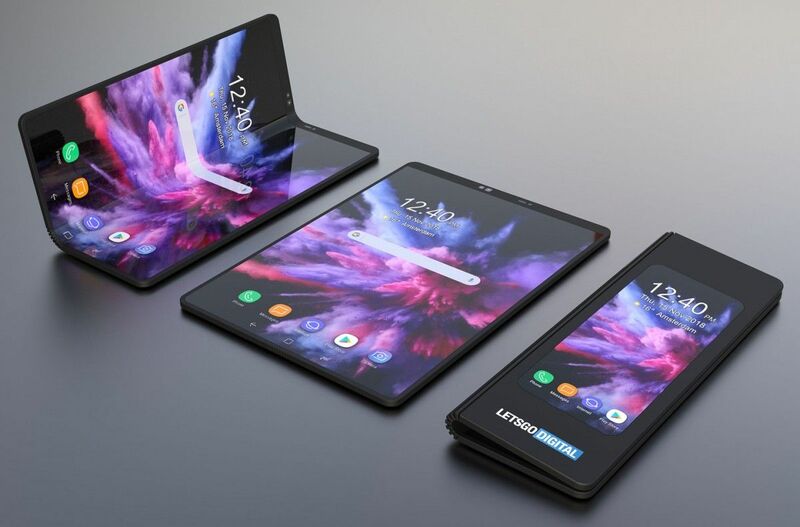 It should be noted that Royole FlexPai has already been unveiled as the world’s first foldable phone, though its reach is limited to China at the moment, with pre-orders in the US. Nonetheless, the fact that Huawei’s foldable phone is closer to production than anticipated gives rise to speculation that the company may indeed be able to deliver the first mass-market foldable phone to market. It would be able to upstage Samsung, whose foldable phone prototype had the world watching for the biggest change in smartphone design since the original iPhone. Rival LG is also said to be working on a foldable phone that will be unveiled at CES 2019 in January. The report goes on to claim that the Huawei foldable phone will be showcased at MWC 2019 in late February. According to the rumour mill, Samsung’s foldable phone will go in mass production soon and will not be unveiled until March this year. It is said to carry a price tag of KRW 2 million (~$1,770 or Rs 1.28 lakh) and have the moniker Galaxy F.